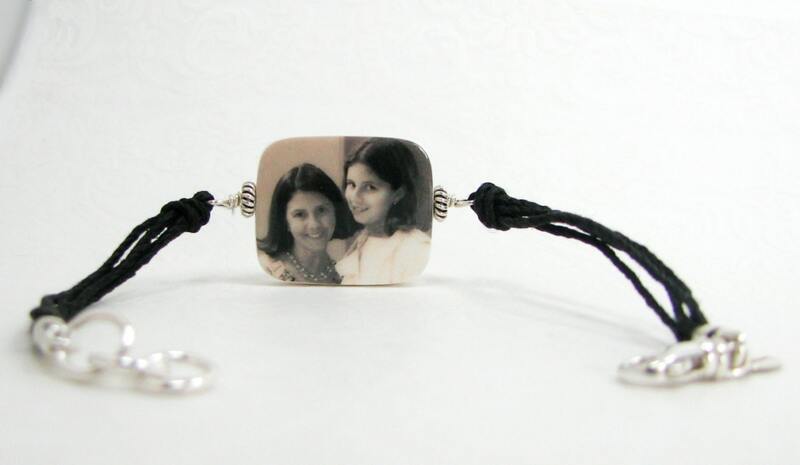 This is a medium, two-sided photo charm that is up to 1" X 1" in size with rounded corners. It lays between multiple strands of Hemp Cord and easily flips over to display either side while being worn. Order it to fit between 6" - 9" in length. It comes with a sturdy, sterling silver swivel clasp. 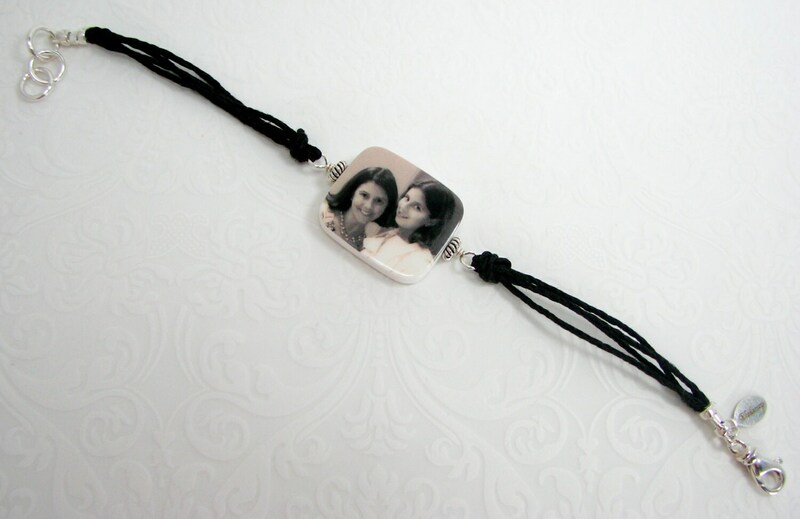 You can order this photo charm with two images, or request a custom text image for one side and include a special message or date.